In the coming weeks, we will let you know about our monthly field trips, prepare for school events, and provide feedback on academic progress through our Monthly Progress Reports. Please refer to the school calendar on our website, and mark your calendars to remember these important dates. School will be closed on Monday, September 3rd in observance of Labor Day, a national U.S. holiday honoring the contributions that workers make to the strength and well-being of our country. Classes will resume at 8:30am on Tuesday, September 4th. Throughout the school year, but especially in the fall, interested families tour the school to learn about our program here at Woodside. Teachers always know in advance when tours are scheduled, and we do our best to explore the school without disrupting classes. We thank our students for welcoming any visitors to the classroom. Near the end of each grading period, the faculty meets to review curriculum and plan for the months ahead. We will be holding our first monthly faculty meeting on Tuesday, September 11th. On Faculty Meeting days, 8:30 a.m. classes will be canceled, and all other classes will be held as usual. Students should arrive in time for their 9:30 a.m. classes. All parents and guardians are urged to attend this evening with your student’s teachers. The meeting begins at 6:00 p.m. with a Welcome from Head of School Ariel Edwards. You will hear about the year ahead and then break into groups to meet with the teachers. Please plan to join us! Newsletters will be emailed home and posted to the website on the Friday after the monthly Faculty Meeting. Be sure to read these important updates every month. The first progress reports of the year will be sent home with students on Wednesday, September 19th. If you do not have the opportunity to see your child’s report, please email School Office Assistant Anna Yu at ayu@wissf.org for an additional copy. Teachers’ Lunch Program – We need your help! We are looking for volunteers to provide lunch for teachers on Thursdays throughout the semester. We ask that families bring food or money to feed 12 people, half of whom are vegetarian. Please contact Ariel at aedwards@wissf.org if you are interested in participating. We love our teachers, and they appreciate your support! Sara Anderson is a devoted dog lover and spends her free time providing dog sitting and dog-care services. In fact, she is starting this school year with four dogs as temporary roommates. Dean Church was born in Laon, a small medieval village near Verdun in Northeastern France. His family moved a lot, and he attended fourteen different schools throughout his education. He paid for college by working at Seattle boat yards as an apprentice woodworker. And he has a step-granddaughter from China. Anne Liu is a very creative cook and never follows recipes, preferring to invent her own delicious foods. Carlos Rivera has a passion for cooking and loves adding a copious amount of red pepper flakes to every dish. Abram Summers has a terribly loud sneeze that sounds like a scream. He loves watching Taiwanese drama and can sing in Mandarin. His favorite food is Ramen and his favorite place to visit is Disneyland, where he used to have a season pass. Mizuho Takahashi was a professional graphic designer in Tokyo. She loves cooking, especially Japanese, Italian, Chinese, Thai, French, and Mexican food. She also loves coffee as part of her daily routine to wake up in the morning. Her favorite is cappuccino without sugar. 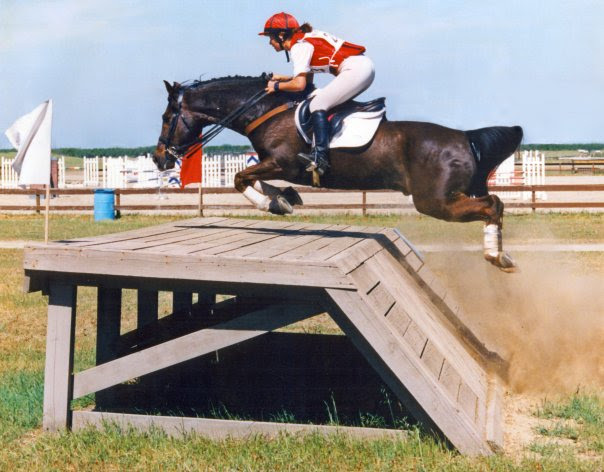 Ariel Edwards is an accomplished equestrian. Before beginning her career in education, Ariel was an Olympic-level Three-Day Event competitor. Here she is in competition.